The LuckyNiki online casino is a Japan-themed casino with an extensive number of games. This LuckyNiki online casino review will take you a little deeper into understanding what makes this casino such an attractive place. This casino does have a number of features but they are all very easy to understand and figure out in terms of how they are organized. The LuckyNiki casino has an interesting Japanese theme to it. The name comes from the animated lady on the site that operates as a virtual host. This casino was formed by EGO in 2016 and is licensed to operate in Malta. It uses games from Net Entertainment and SkillonNet and uses a variety of currencies including the Euro, British pound, American dollar and even the Japanese yen. The extended variety of slots to check out here includes a number of 3D slots. 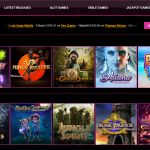 The Niki’s Favourites section of the site highlights some of the newest slots as well as some ones that offer big jackpots. The live casino games include blackjack and roulette. The selection is relatively minimal in this section but the games are typically online throughout the day with live dealers on hand via satellite. Scratch cards are popular enough here to have their own section. There are a few options to see here with plenty of attractive games worth trying out with big jackpots on some. Several versions of blackjack can be found here. American and European variants that are different in terms of the number of cards used are included. European, American and French roulette games are available too. These are all different based on the particular amount of numbers and the betting options that are available on each game. Punto Banco and baccarat are also on the site. 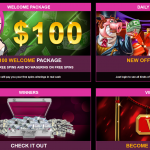 The welcome package is a 100% match bonus of up to $100 on a person’s first deposit. 25 free spins on the Joker Pro slot are also given to new players. The new offers on the site are listed on the main page. The Daily Picks section has special offers like 50% deposit bonuses, 50 free spins for deposits and much more. The offers are varied throughout each week. Winnings Doubled works in that a player can wager one’s deposit by ten times to double that person’s winnings. This offers more money for those who play on the site more often. What Are the Casino’s VIP Plans? The VIP program on the website features a variety of keys to make gaming all the more fun. With this program, a participant will get special rewards for playing often. A personal account manager is provided as well as invitations to various exclusive promotions and other events on the site. Various bonuses are provided for playing more often. These include bonuses like free spins and special deposit offers. This only works when a person signs up for the VIP program. Fortunately, the site offers a simple setup that makes it easy for people to get online and start playing as a part of the club. The support here is available by phone and email. Interestingly enough, the customer support phone line has a Toronto area code. People can also chat live at various times in the year to get help with their general needs for getting answers to issues they have on the site. Net Entertainment and SkillonNet are the software providers on this site. They are responsible for setting up the games that are offered here. Some added games from NextGen and Microgaming are also included on the site. The games are varied in terms of who provides them but they are made with a number of quality features that make them easier for anyone to enjoy playing along with. The software is all to be played on a web browser. While the games load up quickly, this does not offer a dedicated client that can be downloaded separately. This does at least ensure that players can quickly start playing and having fun. Still, the player will need to get all of one’s browser and plug-in features updated to ensure that there are no problems with trying to get a game ready and running. Deposits are very easy to handle on this site. The casino takes in MasterCard, Visa, ecoPayz, iWallet, Neteller and Skrill deposits. Some fees are added to deposits but the site always lists them before a transaction can go through. In terms of withdrawals, it can take about two to seven days to get one’s money after a request is made. That timing should vary based on the particular banking system that one uses. All of the key banking options for deposits also work with withdrawals in mind. A person can get up to $5,000 withdrawn at a time and $10,000 per month. Some changes may be used in the event that a player gets into a jackpot on the site but it is important to contact the casino about this in the event that one wins a substantial amount of money off of the site. A minimum deposit or withdrawal of $20 will be required every time. This is regardless of the type of banking system that is used to get a payment handled. 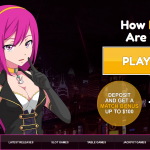 If there’s one thing that can be said about this LuckyNiki online casino review it is that it is a place that truly has a unique style. The interesting Japanese influence of the site can be noticed quite well. The variety of games is also useful while the banking and bonus features are easy to understand. This should make for a great gaming site for those who want something unique without being overly complicated or difficult in some way.